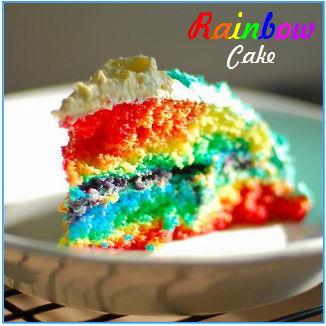 The Omnomicon has a fabulous step-by-step Rainbow Cake tutorial and the colourful pictures alone are positively drool-dropping! Fun for a colour party, a 60′s theme party, an art-lover’s birthday, or anytime you feel like brightening up the dessert table a bit. The baked cake looks so great it almost seems like it would be hard to cover it with frosting, don’t you think?! The pretty colours come through again when the cake is cut and served though! GIVEAWAY: Large Cupcake or Muffin wrappers to WIN!